It's great to see that so many competitions and game jams motivate people to actually go and make their games from start to finish, without giving up. This is the case with The Day of Reassembly, which was made in one month for the 2014 Indie Game Maker Contest at RPG Maker Web. Meet our two robots! I'll refer to them as "The Builder" and "The Wrecker" respectively. In each level, your goal is to reach the finish. With both bots! The Builder can manipulate special blocks: you can store up to three of them and rebuild them somewhere else to get around. The Wrecker destroys anything in its path. Anything except special blocks. Unfortunately, levels aren't always Wrecker-ready, you know. While playing as The Builder, it's essential to think of ways to help your beefy friend in advance - your changes to the level are not lost when going from one robot to another! 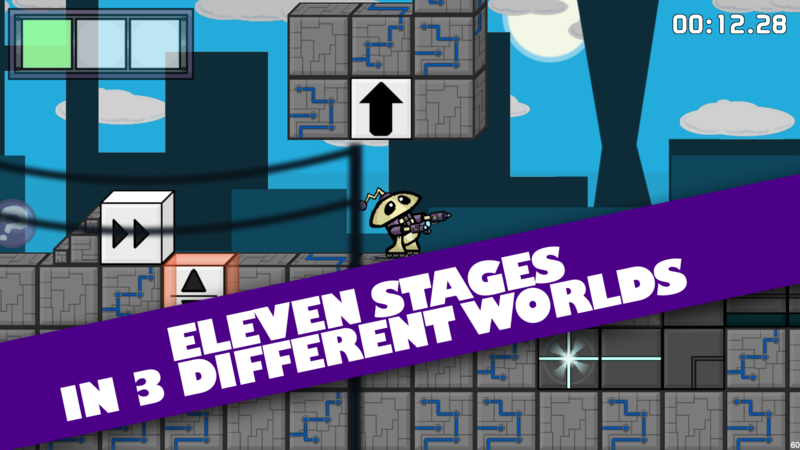 Test your wits with the game's 11 levels, each one introducing new elements to keep the puzzles fresh and non-repetitive! 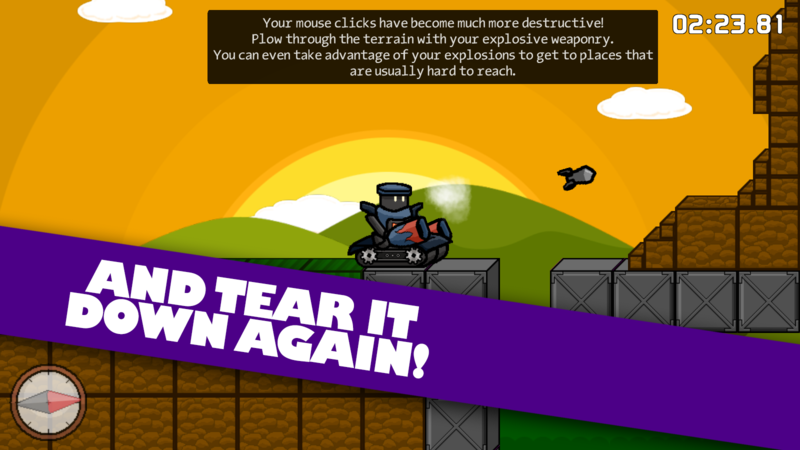 Be careful though as they aren't for the faint of heart: difficulty ramps up quickly! If you ever feel overwhelmed or stuck, you can skip a level if you spend enough time on it. 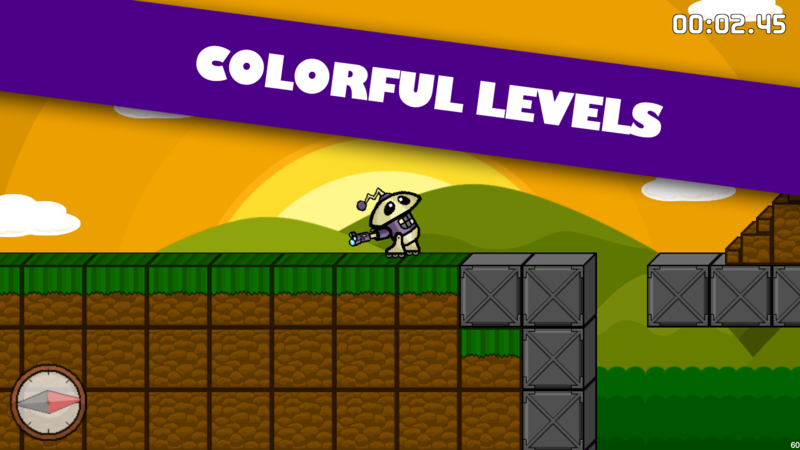 11 levels, with new elements in each and every one of them! No two levels feel the same! Visit our contest entry page! Q: Will it run on my Linux/Mac/Amiga/Toaster? A: Unfortunately, the game is Windows only for now! Q: How do I skip a level I'm having trouble with? A: The "Skip level" option will show up in the post-death menu the next time you die after spending 6 minutes or more in one level. Q: This game has no tutorial to teach me everything thoroughly! How do I move? 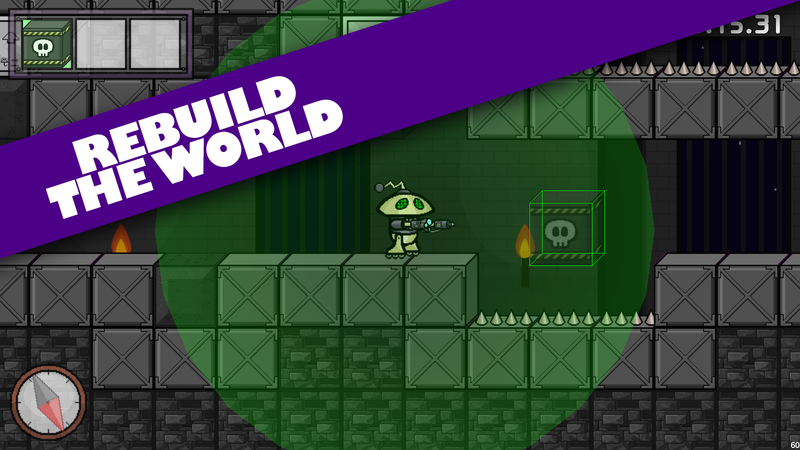 A: Long tutorials are often boring, with the first few levels you should grasp the game's mechanics quickly. Movement keys are WASD by default, but you can change that in the Options menu. Q: What are stars for? A: They are small little secrets not required for game completion. At the moment, their only purpose is bragging rights. Possible future versions might introduce some kind of unlockable items associated with them! I'd like to thank my faithful tiny team that helped me greatly by making the game's art. Huge thanks to Kevin MacLeod and Rezoner for their songs made available for free! Full credits can be found in-game. Enjoyed the game? Please tell me what you think! Constructive criticism is always welcome. Thanks a ton! I'm from the team VTR, the creators of this game and is so much important for us your opinion. Please, take a look in our screenshots, video (and the game itself!) and comment your impressions.